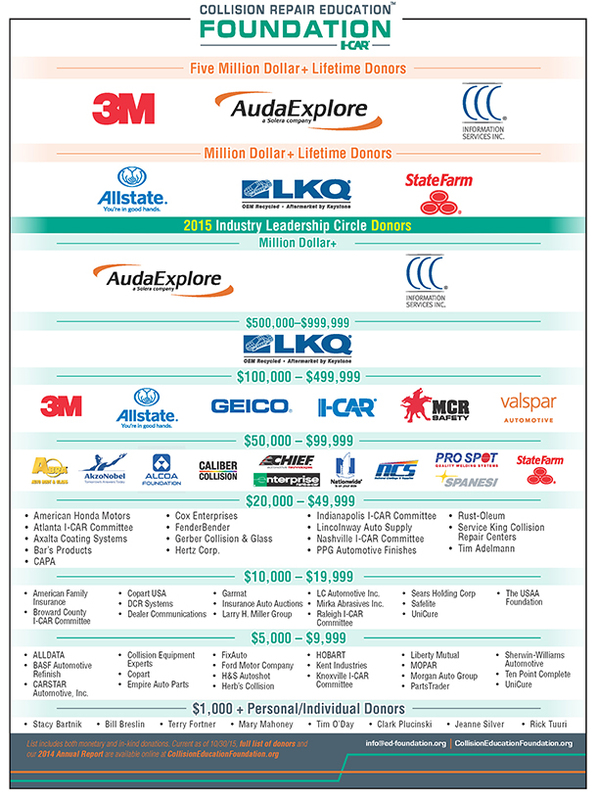 The Collision Repair Education Foundation would like to specifically thank and recognize their Industry Leadership Circle donors for their leading support. It is through this high level of support that the organization is able to assist collision students and their school programs. These donors are highlighted to the industry in numerous ways throughout the year including industry publication advertisements, industry trade shows, Foundation’s annual report, and more. To learn more about becoming a Collision Repair Education Foundation Industry Leadership Circle donor, please contact Brandon at brandon.eckenrode@ed-foundation.org.